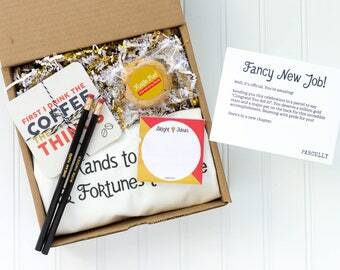 Parcelly offers gift parcels with a handmade celebration inside for birthdays, breakups, bad days, and more! You can visit us at www.parcelly.ca to see our full collection. We ship directly to your loved one in a kraft box filled with white and gold crinkled paper, and a personalized card stating the theme of the celebration and why it was sent, signed with the sender's name for an extra personal touch. ① We ship to the address provided at Checkout. If you are ordering this as a gift and wish to have it shipped directly to the Recipient, please enter the correct address at Checkout. ② Please provide us with your name if you'd like the Recipient to know who the gift is from. Send us a message and we'll respond as soon as possible! Mother's Day Box. Unique Mother's Day. 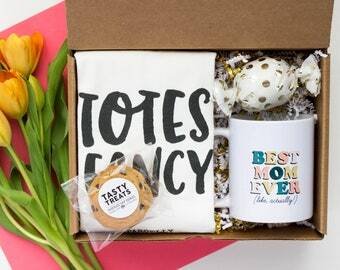 Mother's Day Gift Box. Mother's Day Gift. Personalized Gift. Daughter Gift to Mom. Long Distance Mom. Mothers Day Gift. Mother Flower Gift. Personalised Mum Gift. Gifts for Mom. 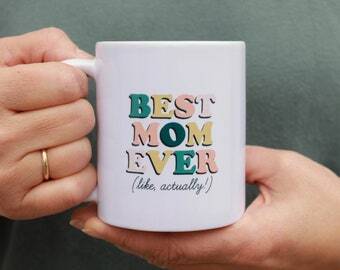 Mother's Day Mug. Best Mom Ever Gift. Graduation Gift for Him. Gift for Graduate. Graduation Gift for Her. 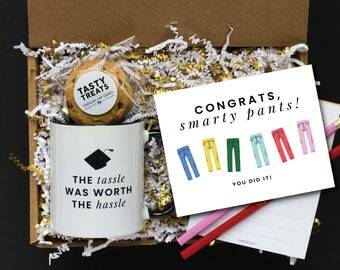 Grad Gifts. 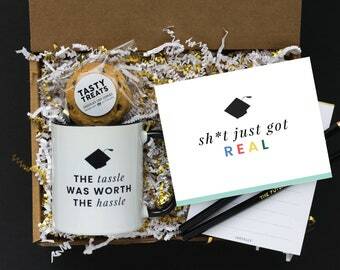 Graduation Gift Box. Graduation Gift for Best Friend. It's a Girl Gift Box. Baby Shower Gift Girl. Pregnancy Gift Basket. Expect Mom Gift. 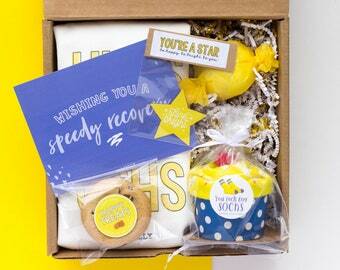 Congratulations Pregnancy Gift Box. Care Package. 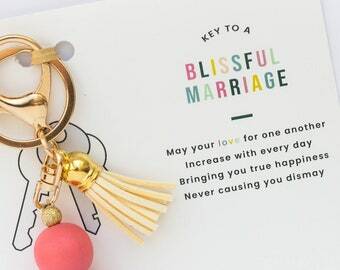 Marriage Keychain. 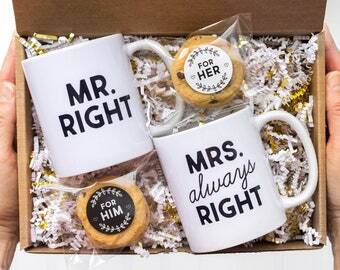 Marriage Gifts Personalized. Custom Wedding Gift for Bride. 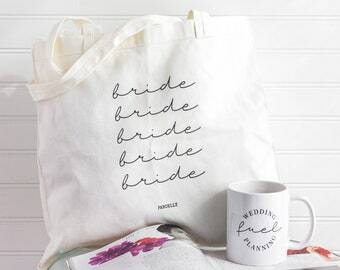 Wedding Gift for Bride. Wedding Keychain. Wedding Keychain. Key to my Heart Keychain. Key to My Heart Card. Key to My Heart for Him. Long Distance Keychain. Girlfriend Gift Ideas. 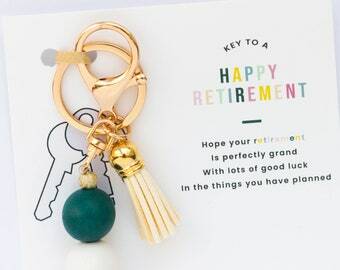 Retirement Gifts for Women. Retirement Gifts for Teachers. Retirement Gift Ideas. Happy Retirement Card. 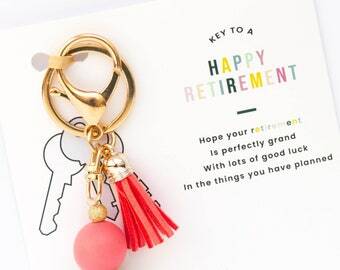 Retirement Keychain for Women. 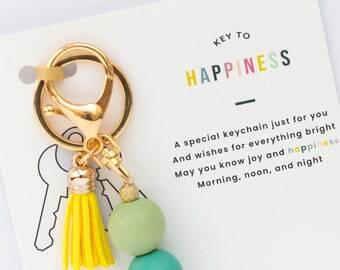 Happiness Keychain. 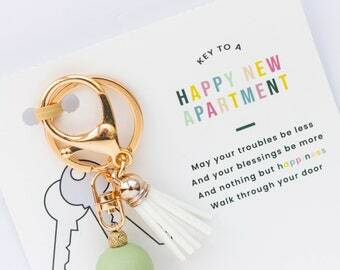 Happy Keychain. Happiness Gift. Encouragement Gift. Thinking of You Gift. Condolences Gift. Miscarriage Gift. 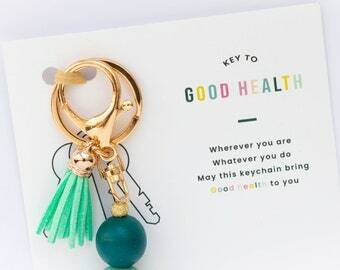 Good Health Charm. Get Well Soon Gift. Get Well Soon Card. Speedy Recovery Gift. Cancer Gifts. Hospital Gift. Illness Card. Illness Amulet. 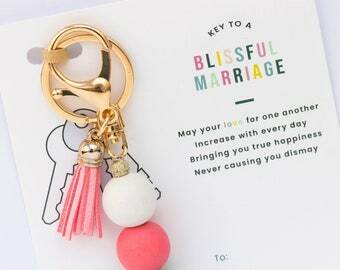 Marriage Keychain. Marriage Gifts Personalized. Custom Wedding Gift for Bride. Wedding Gift for Bride. Wedding Keychain. Long Distance Friendship Gift. 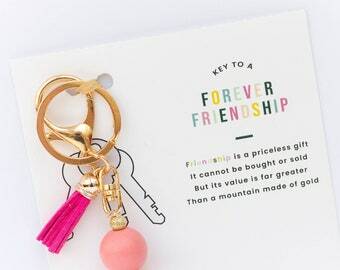 Friendship Keychain. Friendship Card. Keychain for Best Friend. Keychain for Friend. Friendship Gift. 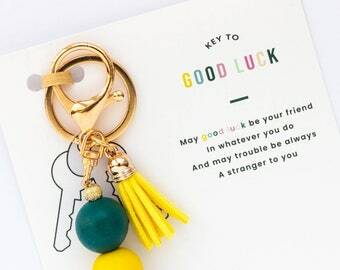 Good Luck Keychain. Lucky Keychain. Good Luck Charm. Good Luck Gift. New Job Gift. Good Luck Card. Moving Away Gift. Graduation Gift. New Apartment Gift. Real Estate Gift. Realtor Gift. Closing Gift. 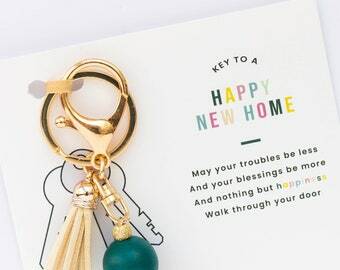 Happy New Apartment Card. New Apartment Keychain. Housewarming Gift. Personalized Housewarming Gift. Real Estate Closing Gift. New Homeowner Gift. New Apartment Gift. 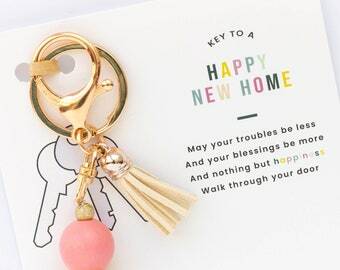 Happy New Home Keychain. New Home Card. Teacher Gifts. Teacher Appreciation. Teacher Gift. Gift for Teacher. Teacher Thank You Gift for Teacher. End of School Year Gift. Gorgeous!!!! The keychains are even more adorable than showed online (if that's even possible!!!). Seller sends them wrapped and ready to go. I LOVE THEM!!!!! Very cute and well made. Can't wait to give it as a gift. GRADUATION! 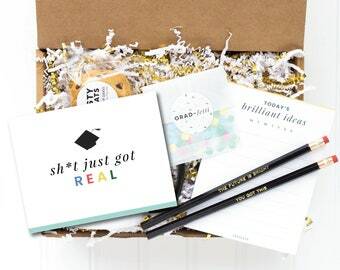 It’s here.. our new graduation gift parcel with all the necessities for a new grad - confetti to celebrate, a notepad for brilliant ideas, and more! OMG! We have keychains now! Meet our new spin on Greeting Cards.. the Key to Everything collection! 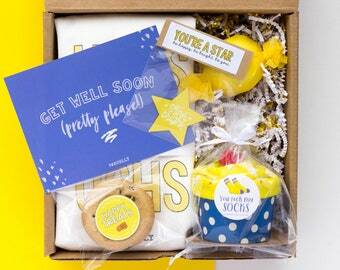 Nothing better than a sunshine gift parcel! Dasha and Elena are a mother-daughter team of entrepreneurs living in Canada's Capital. They've always had a knack for making gifts and hand-made cards for their friends and family, even for the most unconventional celebrations like successful eye surgeries and wisdom teeth removals. 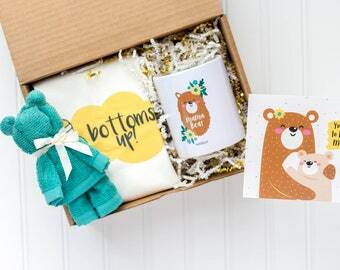 It's their common love for crafts, passion for giving unique and unforgettable gifts and care packages, and friends and family scattered around the globe that led to their idea to start a curated gift parcel company. The two are beyond thrilled to be able to send celebrations to mailboxes around the world and invite everyone to follow their journey! We are proud owners of The Pencil Boutique Co. on Etsy! Check us out at www.etsy.com/shop/thepencilboutiqueco! Dasha is ½ of The Parcelly Team. She is the Co-Founder of Parcelly and designs and curates all of the products you see in our fun, themed care packages and celebration parcels. Fun fact: She's a marketing student at the University of Ottawa. Elena is the other ½ of The Parcelly Team. She is the Co-Founder of Parcelly and makes all of the products you see in our fun, themed care packages and celebration parcels. Fun fact: She is also an amazing Grade 1 teacher! Welcome to Parcelly. What's a celly? 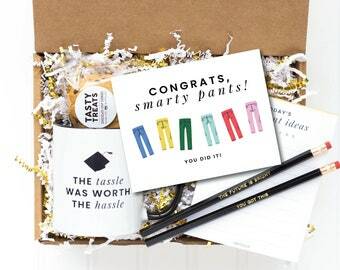 Short for celebration, it's what we promise to deliver inside a parcel, straight to your mailbox. 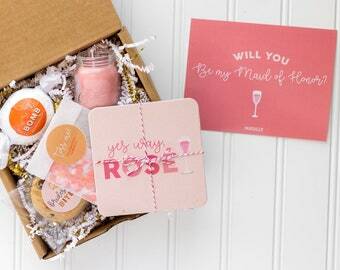 We’re here to help you find the perfectly unique, personalized gift package for any occasion whether it be a birthday, wedding, bad day or even a break-up . 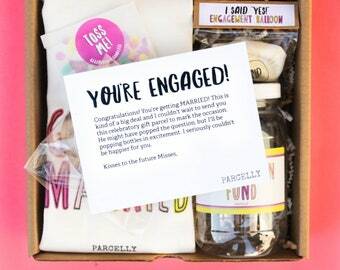 If you’re short on time, ideas, or simply have fabulous taste, Parcelly is your knight in shining armour. We've put together and hand wrapped gift parcels to bring you and your besties curated gift parcels with a celebration inside straight to your mailbox. There's no better way to make someone's day and show 'em you care. There are no returns or refunds on Parcellys. If an item arrives broken or damaged please contact us via our Etsy shop or at contact [!at] parcelly.ca and we will send a replacement item. PayPal, credit card and Etsy gift cards are accepted forms of payment. Please double check the shipping address before sending the Parcelly. If you want the gift shipped directly to the recipient simply enter their Shipping information at checkout. 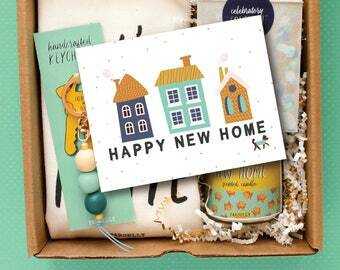 A packing slip is never included with your package, as you may access that from your Etsy account. Order are typically processed in 1-3 business days, unless otherwise noted. Please note, business days are Mondays-Fridays, and non-holiday days. We always do our best to ship your order as soon as possible. Please note that Canada Post's business days are Mondays-Fridays. As soon as your Parcelly is shipped, you will receive a tracking code. All orders are shipped via Canada Post Expedited Shipping. Shipping time in Canada usually takes 2-7 business days. For orders going to the United States, shipment usually takes 4-10 business days depending on customs. Unfortunately, we are not in control of the shipping process but we do everything possible from our end to ensure a speedy delivery. Orders are sent to the exact address given to us for shipping. We are not responsible for the cost of lost or returned packages due to a wrong address. Parcelly cannot be held responsible for an incorrect address being entered on your order. Please double check all details prior to purchasing a Parcelly. If you complete your order and then notice that the address details are incorrect, please contact us immediately via contact [!at] parcelly.ca or send us a message on Etsy. Once an order is shipped, we can no longer change the Shipping Address. If the address that you provide us is invalid and the package is returned to us, you will need to pay for shipping a second time to have your order shipped to a new address. If you choose to accept a refund, please note that we do not refund the cost of shipping & charge a $5 restocking fee. Any duties, fees, and/or VATs (Value Added Taxes) are your responsibility, and dependent upon your country's Customs regulations. If you are unsure of the import fees/regulations for your country, please contact your local Customs office for more information. We are not authorized to collect your country's import fees and taxes, nor are they included in your purchase price or shipping costs. If you are interested in sending a Parcelly outside of Canada or the United States please send us a message on Etsy or at contact [!at] parcelly.ca and we will accommodate your request on an individual basis. We always include a personalized card with your order. Please leave the SENDER'S name and the RECIPIENT'S name in the comments section at checkout so we can hand write the name on the card. If we are not provided this information we will send you a message on Etsy and an email. If we do not hear back from you within 1 day, the card will be signed "xoxo". Since most of our Parcellys are sent as gifts, we do NOT include a receipt in the package. However, please be aware that for order sent to the United States, we must fill out a Customs Declaration Form as a mandatory requirement. This form contains a line with the declared value of the item. Please note that orders of 5+ Parcellys are considered bulk orders. Please contact us in advance! Glad you asked! A Parcelly - Parcel+Celly (Celebration) is a pre-packaged gift parcel with a celebration inside. Each Parcelly includes 4-5 items handmade by us, centered on the theme of the celebration as well as a personalized card signed with the sender's name. We don’t take your special occasions lightly – we package quality, creativity, and love in each parcel to ensure the best possible celly on your end! What does a Parcelly look like when it arrives? There's no box in a box silliness here. Your Parcelly will arrive as a 8x8x3" kraft box filled with crinkled paper and our handmade goods. We package each Parcelly with top quality, cute packing tape to ensure that all the items inside are safe and sound during their travels. We like the packaging to be a surprise, but if you'd like to see a picture please go to our 'About' page. Are the chocolate covered pretzels & chocolate chip cookies gluten free/nut free/etc.? We cannot guarantee that any of our food has not come in contact with nuts or nut products. Our handmade, chocolate covered pretzels & cookies run the risk of coming in contact with nuts. We also cannot guarantee that any of our food items are gluten free.